Hurricane Michael’s devastating track through five states is “a reminder that future big storms can head straight for you,” said Sarah O’Brien in CNBC.com. If you live in a hurricane-prone area, it pays to get insurance—and read the fine print in the contract. Going without insurance in coastal areas is a serious risk; last year’s trio of big storms—Harvey, Irma, and Maria—caused a combined $265 billion in damage and left hundreds of thousands of people with uninhabitable homes. But even if you do have insurance, be aware of potential gaps. “While many homeowners policies cover wind damage, they generally exclude flood damage. Yet floods are often what cause the most destruction.” In addition, most insurance policies have hurricane deductibles. Those range from 1 to 5 percent of the insured value. That can mean $20,000 on a $400,000 home. If it’s flood insurance you are looking for, said Edward McKinley, also in CNBC.com, the bad news is that “the National Flood Insurance Program is underwater by more than $20 billion.” The NFIP insures 5 million homes in the U.S., “while experts estimate there are about 40 million homes at risk.” Even for those who do have coverage, the national program limits coverage to $250,000 of home value, plus $100,000 for possessions; the annual cost of the average policy is about $700. 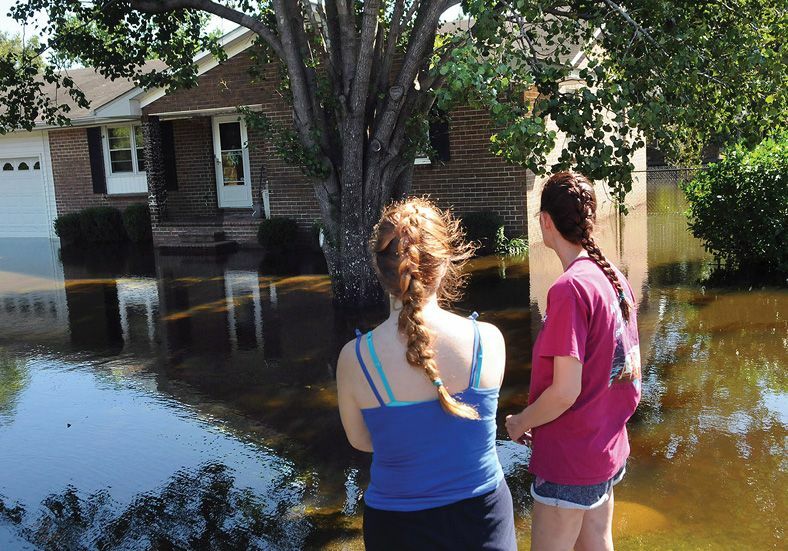 It’s still the go-to source of “first dollar” insurance, but private insurers, such as Liberty Mutual and Allianz, offer flood coverage over the government’s dollar limit. One big downside of the federal program, experts warn, is that it offers assistance only to rebuild, not move, and can therefore “trap” people in homes that flood repeatedly.